Hospital Investigations Have Shown: 1 out of 2-3 Deaths Due to Sepsis. 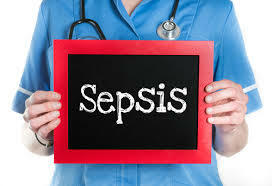 According to an article found on MedScape, investigators say that sepsis is still a factor in hospital-related deaths. They suggest that deaths due to sepsis occur 1 in every 2- 3 deaths. Meaning, for every 2 or 3 deaths that occur in the hospital, at least 1 person dies from a sepsis. The investigators told MedScape that more than half of the deaths from sepsis had occurred in people who were not initially ill, or less seriously ill, when they came into the hospital. Dr. Liu of Kaiser Permanente Division of Research in California (along with colleagues) studied 482,828 hospitalizations that occurred between 2010 and 2012. From their research they had identified patients that had implicit and explicit sepsis. Explicit sepsis includes septicemia, sepsis, severe sepsis, or septic shock. Patients that had evidence of the infection and organ failure were assumed to have implicit sepsis (implied, but not found). Dr Liu and his colleagues found from their research. that of the total 482,828 hospitalizations, 55,008 were found to have explicit sepsis (50,520 presented with sepsis when they a were admitted to the hospital). In the same studies, 80,678 patients had implicit sepsis. 73,933 presented with sepsis when they were admitted. In both cases this leaves about ten percent of cases being contracted during a hospital stay. To combat this problem, hospitals would have to improve their standards of care for patients with less severe sepsis and add sepsis in their differential diagnoses. When commenting on patients dying from less severe sepsis. Dr. Shieh stated to MedScape, "these healthier patients sometimes get triaged to medical- surgical units, where their sepsis may progress unrecognized to severe sepsis of septic shock." What this comes down to is getting hospitals to properly train physicians and nurse to look for the signs and make sure they are running the appropriate tests and checking up on patients. At Dohahoe Kearney we have dealt with a lot of cases that involve medical negligence and medical malpractice. In our opinions, it sounds like there is some negligence going on. A client recently asked us, "Can septic shock be caused by medical negligence? ", and in a short answer, yes. We have handled medical malpractice cases involving sepsis in D.C. and Maryland. If you believe that someone you know or a family member's septic shock or death was caused by sepsis (implicit or explicit) contact us. You can call our office at (202) 393-3200 or email us at [email protected] for a free and confidential consultation.